Lifeboat 3 is the third to be launched. The passengers and crew believe that a rescue ship will arrive soon. 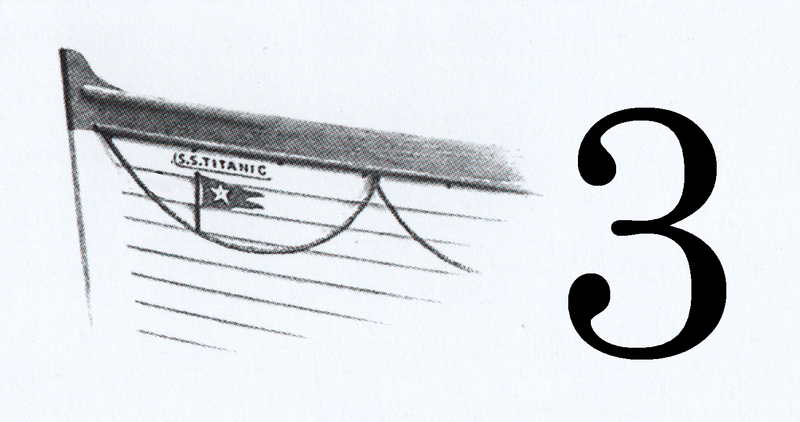 As lifeboat 3 rows away, Titanic towers above them solid and bright. Number 3 is launched with only 32 out of 65 seats occupied.